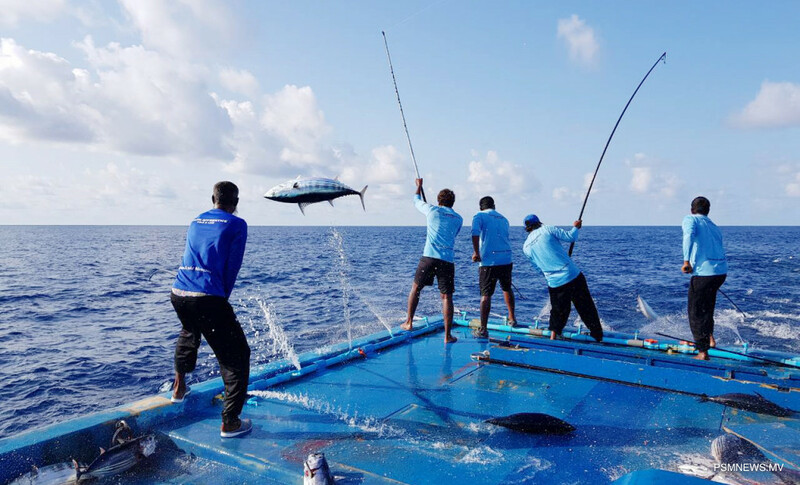 Maldives Monetary Authority (MMA) has stated the amount of fish exported during the last quarter of last year increased by 11%. Following weak performances during the preceding quarters, activity in the fisheries sector showed signs of improvement during the last quarter as indicated by the growths in the key indicators used to gauge the performance of the sector which are fish purchases by fish processing companies and the volume of fish exports, according to the Quarterly Economic Bulletin of MMA. MMA revealed fish purchases registered a significant growth of 91% during last quarter when compared with the previous quarter, signalling a turnaround following trends of dwindling fish purchases over the past three quarters of the year. In annual terms, fish purchases posted a growth of 8 percent during the review quarter, improving on the modest growth observed in the previous quarter. Moreover, MMA noted the continued recovery in fish purchases stemmed from notable growths in purchases of both skipjack tuna and yellowfin tuna purchases. With regard to price developments in the domestic tuna market, local fish processing companies maintained their purchasing prices for both fresh and iced skipjack tuna since the last upward revisions during the third quarter of 2017. MMA highlighted however, yellowfin tuna prices remained relatively volatile throughout the quarter and averaged USD 3.63 per kilogram, down from the average prices of USD 4.69 per kilogram during the previous quarter, and USD 5.02 per kilogram in the same period a year ago. Furthermore, MMA said on the export front, following negative annual growths for the past two quarters, the volume of fish exports observed a growth of 11%. MMA attributed the upturn to substantial increases in the volumes of frozen skipjack tuna and canned or pouched tuna products, which offset the decline in the volume of fresh or chilled yellowfin tuna exports during the period.